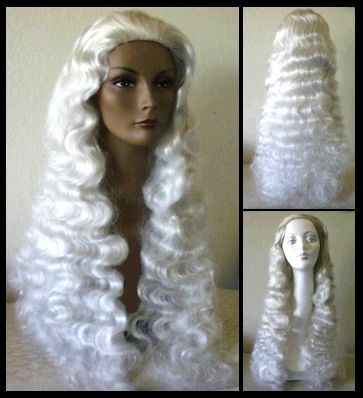 Costume wig. Very long and wavy curls. No bangs. Skin top. Size=average.